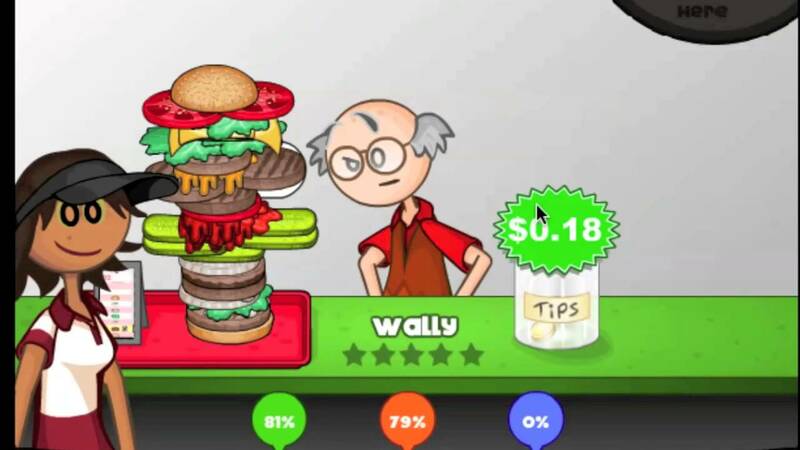 Papa’s games are a series of cooking simulation games that have you taking over a restaurant for a variety of different reasons but usually involving needing money. These games test your time management and memory skills as not only do you need to watch for customers you also need to keep on eye on the food and in certain titles their was a third station which required attention as well. As the games progressed the difficulty and variety got bigger meaning even more to keep track of. In the later games, I believe starting with Cheeseria, they started introducing special recipes that you could acquire by pleasing the owner of the recipe. These recipes had certain effects ranging from more tips to more stars. These added a bit of strategy as now you can put out certain recipes to get a certain result. There is no question as a person who has played all of their games and always looks forward to the next one that these games are something a lot of people can enjoy. So now let us look at the Papas games. Starting with Pizzaria, it is a pretty simple game in comparison to the later titles. The story is that your character Roy is left the pizzaria by Papa Loui. The gameplay is you take an order in which the customer places an order an you right down the details one by one. Then you progress to making the pizza, here you need to look at the card to see how much of the pizza is covered by toppings and how many toppings are requested. Once you finish creating the pizza you click the put in oven button and proceed to the cooking phase. Here you need to look at how cooked the customer wants the pizza and match that. This is incredibly easy as the pizza changes at each tick so you can tell when you have reached the correct point. Once it is done you move to the slicing phase in which you slice the pizza and send it out. The customer is then presented the pizza and give a rating for how you did. Do really well you will get a bigger tip and if you do bad you get very little. Tips are just scores in this game. Next we have Papa’s Burgeria. The story is your character Marty gets a prize notification in the mail saying to go to a location, he goes there and is presented with the burgeria and his new uniform. The gameplay is you take the order this step remains the same throughout the games so there is no reason to go over this every single time. Then we move to the cooking phase, in this game you need to watch two sides and flip it when it reaches the correct temperature which is fairly easy since the color changes. Once it finishes you go to the build phase which is pretty fun. Then you send it out and the customer judges it. After the day ends you can buy upgrades from the new upgrade shop. Next up we have Taco Mia. The story is that Mitch wins a taco eating contest and the prize is a taco restaurant. The gameplay has you taking the order then cooking the food which is done with a bar and color coded squares, once the bar reaches the box you need to the action associated with it. You also get a variety of taco shells. After you finish cooking you go to the building stage where you select something drag it over then a timed event occurs and go back and forth to ensure equal spread of toppings. Then you send it out for judgement. Something that was added to this section is the closers, they judge the food more harshly but give more tips. Next we look at Freezeria. The story is that Alberto signs up for the job and soon after, a large cruise ship arrives, much to Alberto’s dismay. The gameplay after an order is you go to the build station and play a timing game if you get it right you get a great and if you do good you get a good, this is done 3 times. From here you go to the blending, you place them in the blender and a bar goes along the top of the blender once it reaches the designated point you take it out and go to topping station, this is the building phase from previous games. There are a number of other Papa’s games and I recommend trying all of them. Each one keeps the initial setup established in the Taco Mai game with minor changes this makes each one feel special in its own way. Previous Do you know 3 amazing advantages of flash games?